My advice to anyone who’s seriously worried about this new development – which, at the time of writing, is only available to those who’ve expressed an interest in beta testing, with no firm date for when it will to live – is to stop using Facebook altogether or revise your privacy settings. In fact, the imminent arrival of the new search facility is a good excuse to double-check all your settings and get your social privacy house in order. Start with your timeline settings, and in particular the “Who can see things on my timeline?” setting. If you select the “View As” option, you’ll be able to see your timeline as the public sees it; this can be an eye-opener to users who haven’t paid much attention to their Sharing settings. 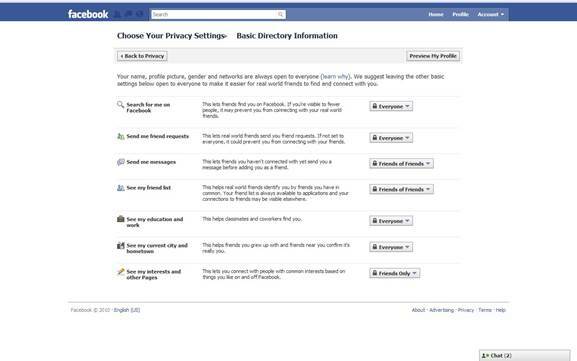 The Privacy Settings page lets you determine who can see your future posts and allows you to revise posts you’re tagged via the Activity Log page. You can also limit the audience for posts you’ve previously shared with friends of friends, or the general Facebook public. You can edit the basic information from the About section and remove or restrict anything you don’t want showing up in searches. I have my date of birth listed, which might seem insecure from a phishing aspect, but this information is restricted to only my friends on Facebook. If I don’t trust my friends with that information (which is pretty easy to find through other means anyway) then maybe I should be more careful with whom I make friends. Likewise, you can go to your Photos section and hide individual photo albums. The point is that, as a rule of thumb, the View As option not only lets you see what the public sees, it also makes you aware what data will be viewable via the Graph Search function. So the real problem with Facebook Graph Search isn’t one of privacy but rather that it’s just too good at doing what it’s been designed to do. The bottom line is that nothing that can’t be viewed by someone who asks for that information right now will be revealed by this new search engine. The only nasty surprise awaiting most people is just how much of their data is already viewable by all and sundry. Before I leave myself open to too much criticism from those who think I’m becoming some kind of Facebook shill, I should stress that I think Zuckerberg ought to reinstate the ability to opt out f search altogether. If, as has been claimed, only a single-digit percentage of the overall membership did so previously, it seems highly unlikely this would have a negative impact on the functionality of the new search interface, unless there were a mad rush of opt-outs. 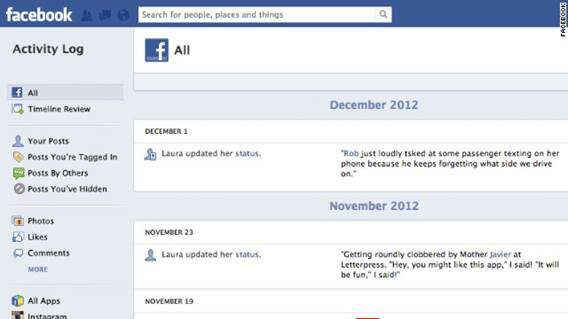 That’s equally unlikely, given how well Facebook Graph Search works. While we’re on the subject of Facebook privacy, you’ve probably seen a rash of posts – by people who ought to know better – that claim to exert copyright on everything they post and threaten legal action against anyone who uses their posts without explicit written permission. The exact wording of these “copyright notices” varies, although some are simply cut-and-pasted templates, which is even more annoying. They all appear to start with the same words: “In response to the new Facebook guidelines, I hereby declare that my copyright is attached to all of my personal details, illustrations, paintings, writing, publications, photos and videos, etc”. They also seem to share a conspiracy theory about “the government using or monitoring this website”, as evidenced by the inclusion of statements insisting the notice applies to all organizations. Facebook itself is also singled out, with quasi-legal wording that purports to prohibit the social network from any commercial use of content posted by the member concerned. Whether such notices are in response to some of the more alarmist rumors and media reports following the Facebook Graph Search announcement or just the usual viral cycle of such nonsense. The fact is they’re all a total waste of time – not merely their own time spent posting them, but also my time and the time of everyone else who ends up reading them in their feed. Why? 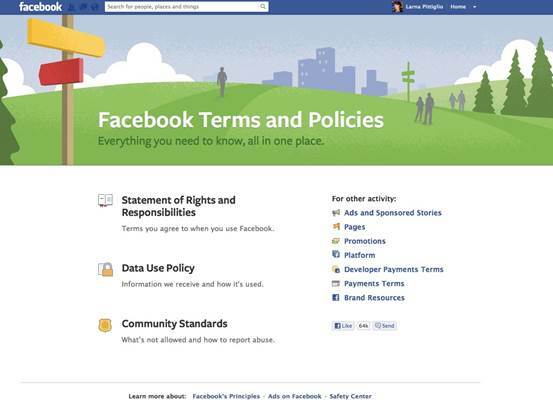 For one thing, there’s the small matter of the terms and conditions of use that you agreed to when you joined Facebook. There’s no opt-out clause, and simply posting something that says you don’t agree with those terms and conditions doesn’t cut it, since the act of continuing to use Facebook is legal confirmation that you’re bound by all the terms and conditions in place at the time of use. As always, the devils is in the detail, and, rather than moaning about privacy policies and legal terms, you should read the relevant documents in full and then decide whether the benefits of using the service outweigh the perceived privacy handicaps. You’ll find them all on Facebook’s Terms and Policies page (www.facebook.com/policies) and, perhaps a little surprisingly, you won’ need to be a lawyer to understand them. A new survey by YouGov is being spun – or at least that’s how the press release reads – to show that workers still aren’t implementing secure data protection practices. I don’t see this as all bad news, however – in fact, quite the opposite. The headline statistics from the survey, commissioned by technical training company a, show that 18% of the 1197 workers questioned didn’t have passwords or PINs set for all their work devices (including laptops, tablets and smartphone), and 23% of those who had shared them with someone else, while 21% had written them down. While I can’t argue against the contribution made by such password folly to data insecurity, I’m not entirely convinced the research is a doom-and-gloom revelation. Simply turning those numbers around suggests that almost three-quarters (allowing for “don’t knows”) of those asked do protect all their devices and don’t share the passwords. The main problem with research such as this is that it’s never really so black and white: if I were asked, for example, whether I write down my passwords, my answer would be a resounding “yes, I do”. Of course, I don’t write them down on a Post-it note stuck to my monitor but rather within a well-encrypted, locally stored database. Similarly, I’d be inclined to say I also share my passwords, as a copy of that encrypted database has been deposited with a third-party cloud provider to enable me to access it from any device, at any time. I accept that doing both things slightly increases the risk of password disclosure above what it would be if I kept them in my head, but not by very much, since the data itself is well encrypted, and much more secure than it would be when stored in a Post-it note format. The software I use ensures that my complex, long and very strong master password is never transmitted from whatever device I’m using at the time, with all the decryption and encryption being performed locally. The Agile Keychain data format used is capable of withstanding sophisticated attack methodologies, and the supposed weakest link in the chain – the third-party cloud service – adds yet another layer of encryption itself, so my encrypted data file is encrypted again. I’m not suggesting YouGov’s survey is pointless, because anything that helps hammer home the security-in-the-workplace message is worthy. I just think we need to be a little more cautious when it comes to interpreting such numbers as negative. We should rejoice in the fact that so many have received and understood the security message, then look at how we can help the small minority who haven’t. That includes their bosses, the people charged with both determining security policy and applying it.